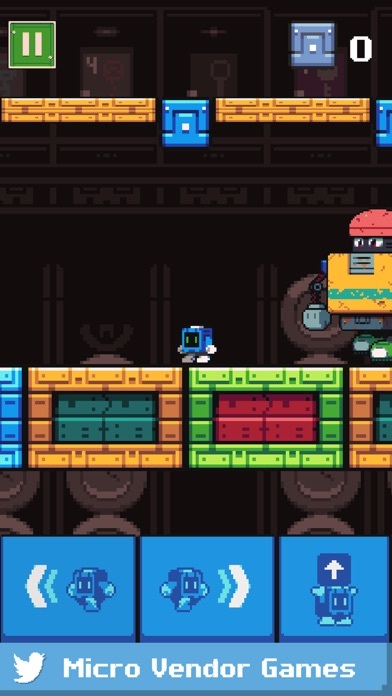 Join Vending-Robo in his crazy-fun adventure in the micro vending machines. 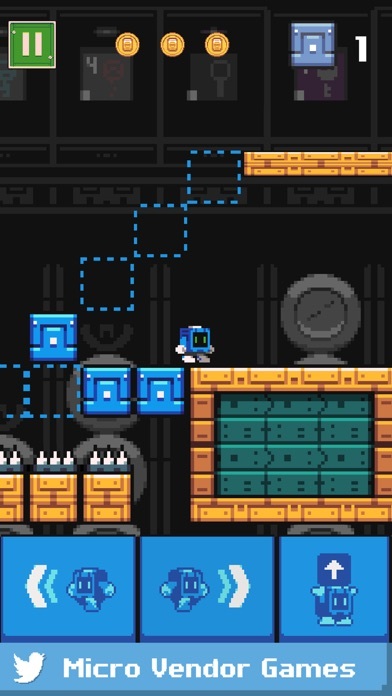 Have fun with an original retro puzzle platform adventure! 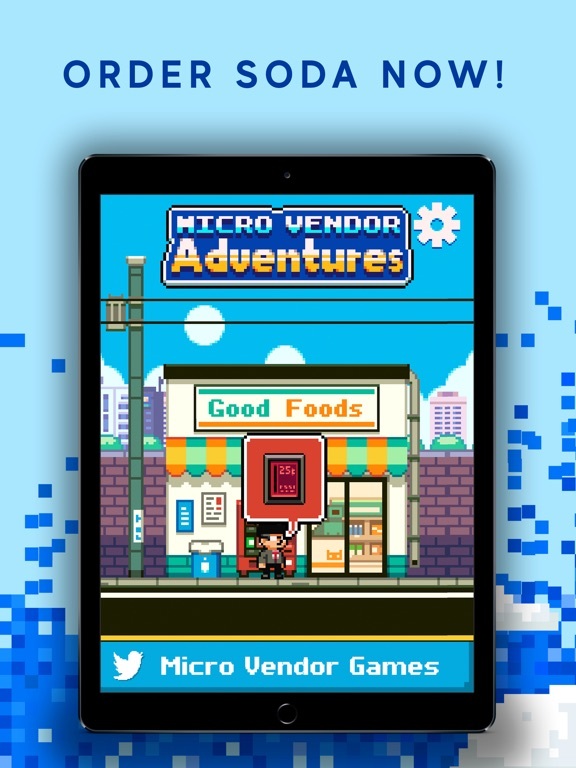 --- Download Micro Vendor Adventures and enjoy nostalgia retro platform gameplay turned into a new cool game. 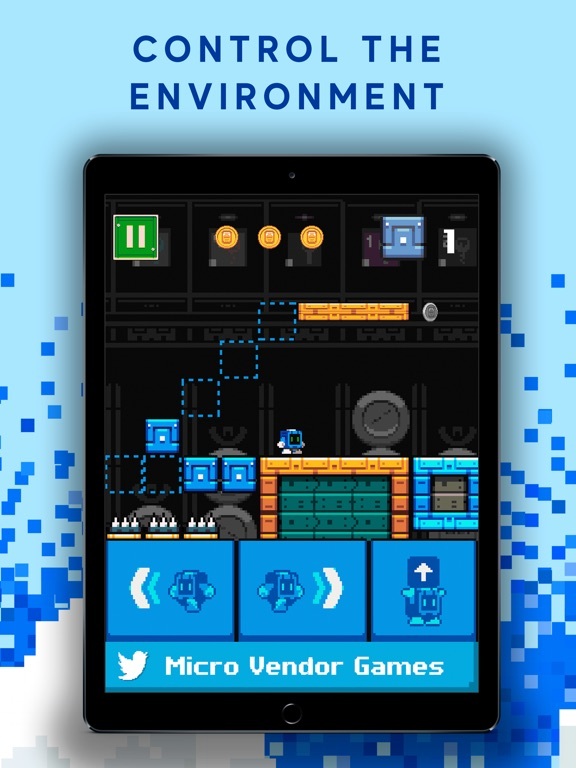 Explore the world of the micro vendor machines in an original 8-bit platform platformer. 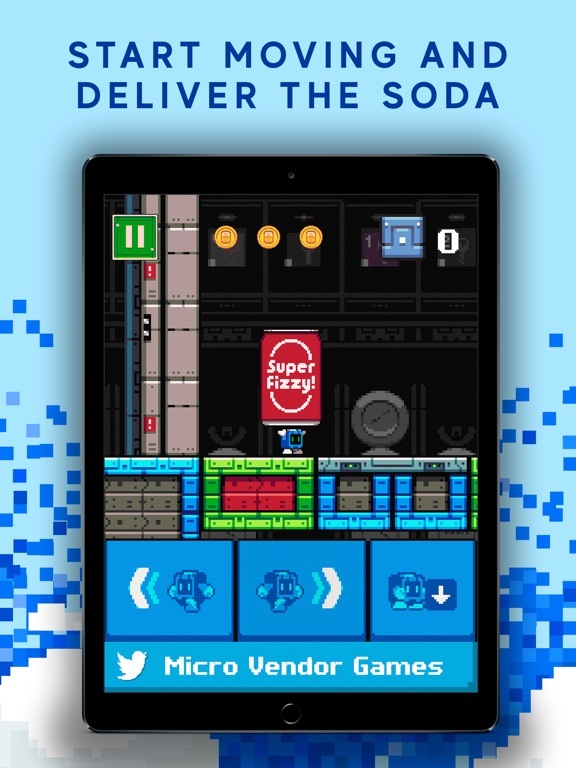 Story: You, as a Vending-Robo, have to deliver soda drink to your customers. You think that's easy? There are a lot of obstacles and traps you can think of, and many more you cannot think of. But don't worry, just overcome it by controlling environments like blocks and elevators. 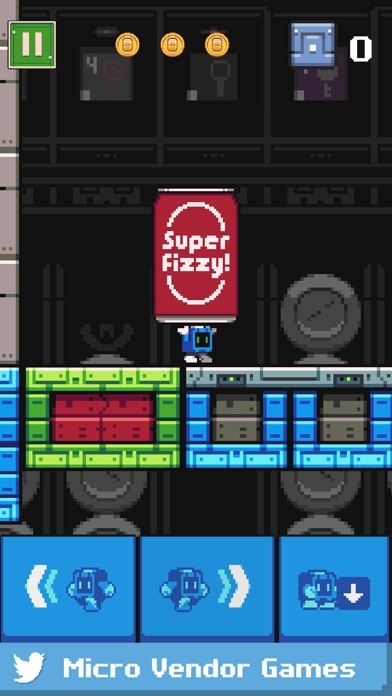 There are also hidden coins in each level. Do your best to collect all of them! Wanna join this fun journey? 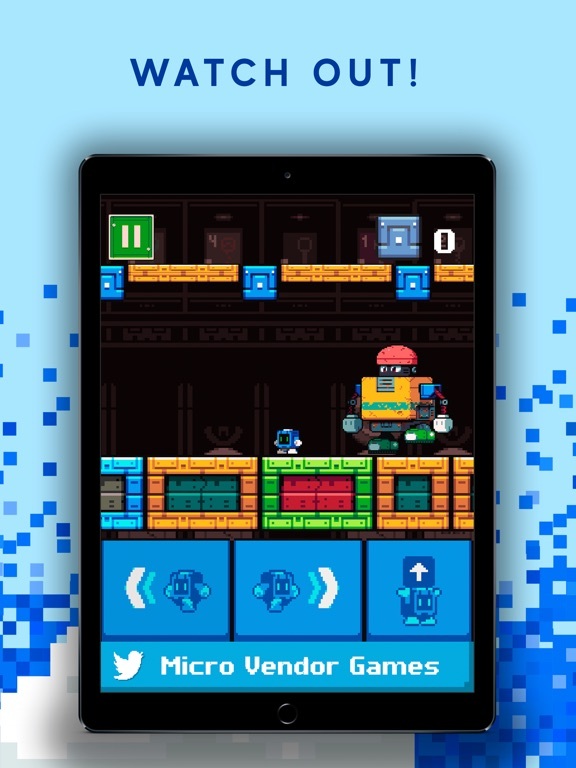 We are now recruiting you to be our next Vending-Robo. 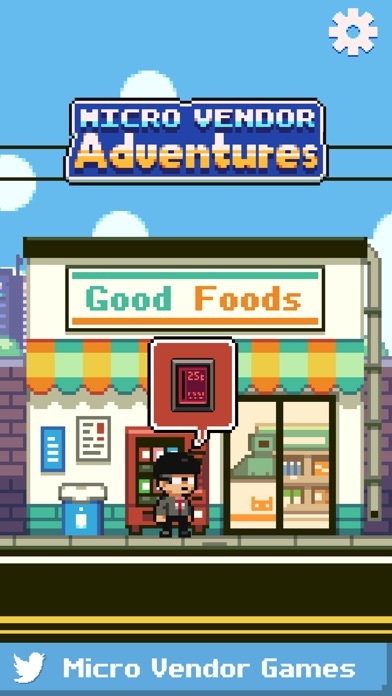 Game Features: - 8-bit retro graphics - Challenging puzzles and boss fight - Collecting 3 hidden coins in each level - Relaxing gameplay with no time limit - No in-app purchases Download a lovely adventure game and have some amazing and unique entertainment.